Henri Laaksonen and Luca Margaroli, Switzerland d. Q-Reilly Opelka and Tommy Paul, United States 6-2, 6-2. I don’t get out to see junior tennis very often, but that’s okay, since the US Junior Circuit was kind enough to come to the Charlottesville Challenger and put on a clinic today. First up was 19-year-old Ernesto Escobedo, who came back from a 0-6 first set to stun Liam Broady, two years his senior, 0-6, 7-6(5), 6-3. After that, 19-year-old Noah Rubin overcame a bad first set against 26-year-old Eric Quigley to win in three, 3-6, 7-6(4), 6-4. 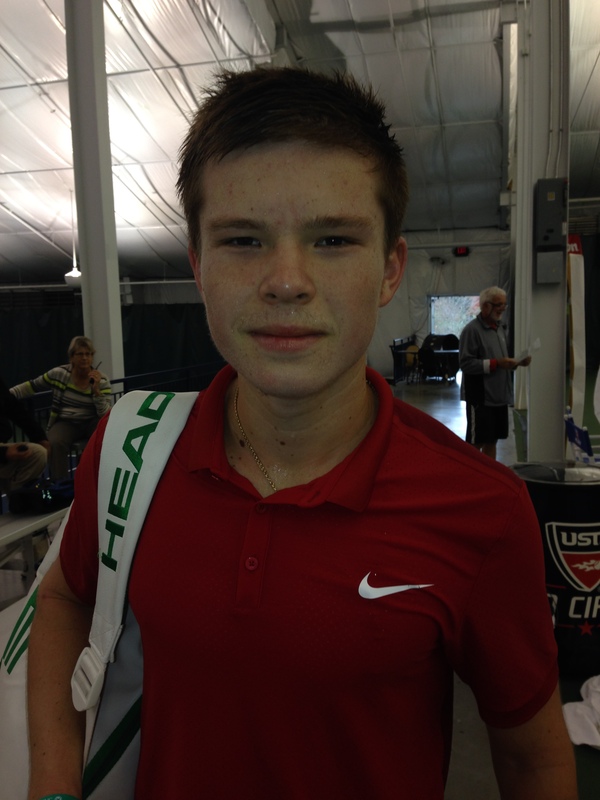 Fellow teen Tommy Paul cruised past a noticeably irritated Chase Buchanan after grinding out three razor-thin games in the first 24 minutes of the match. The other 15 games of the match flew by in 57 minutes with a 6-2, 6-4 result. As Jonathan Kelley said on twitter, it’s still early in the day. 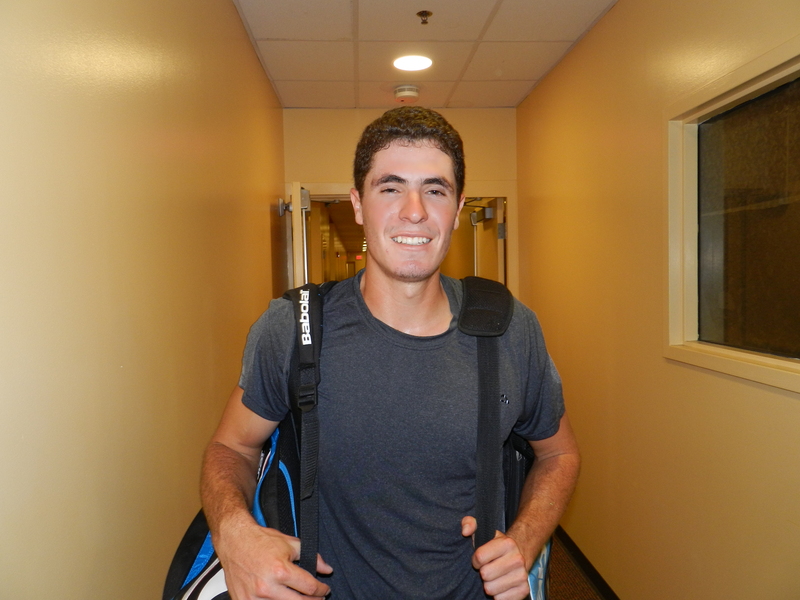 The U.S. will add at least one more teen to the 2nd round and maybe two, as Colin Altimirano faces Stefan Kozlov and Frances Tiafoe takes on top seed Malek Jaziri this evening. The last direct acceptance is Sekou Bangoura, ranked 372nd. 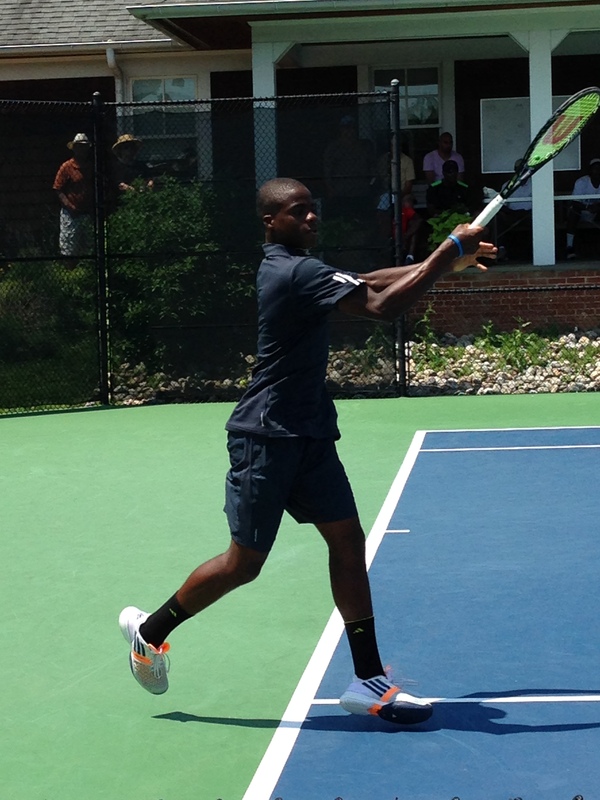 17-year-old Frances Tiafoe is having an outstanding year, starting outside of the top 1000 and working himself up to his current ranking of #226, showing rapid development beyond his years. 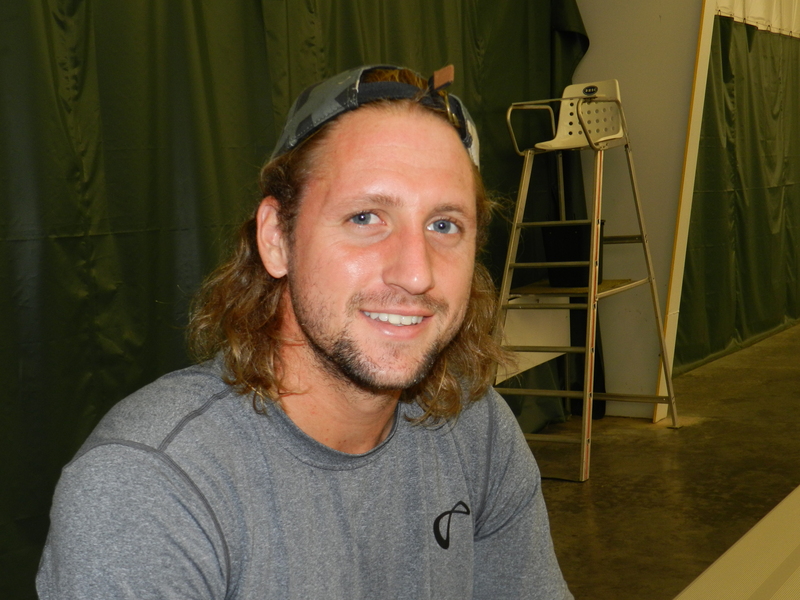 He competed at his first Grand Slam at Roland Garros after winning the Har-Tru USTA Pro Circuit Challenge, earning a wild card after reaching a quarterfinal, semi-final and final in the three American Challenger tournaments that counted towards qualification. A couple of months later he saw his efforts rewarded with a wild card into the US Open main draw. Naturally, his draw here is a tough one, facing top seed Malek Jaziri. 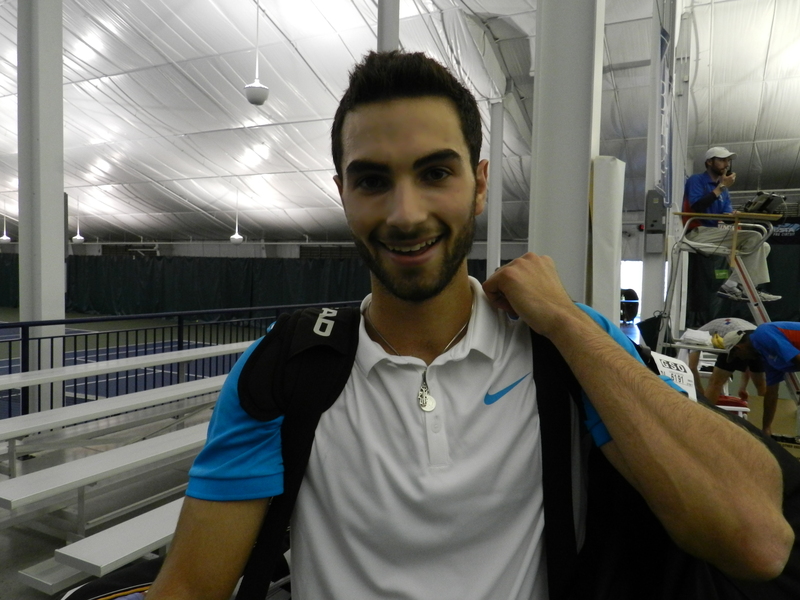 The Tunesian won a strong Challenger in Rennes just two weeks ago, so he is bringing good form to Charlottesville. Regardless, this will be a good experience for Tiafoe no matter what happens, getting to test his game against a top 100 opponent. 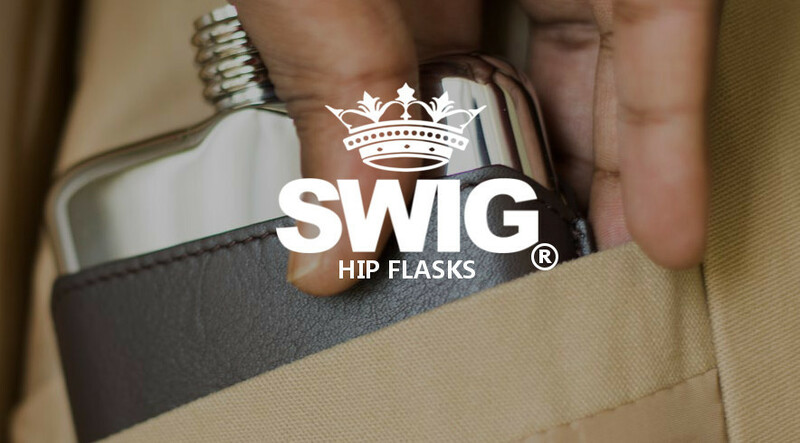 Tim Smyczek hit a bit of a rough patch in the middle part of the season after losing a thrilling five-setter to Rafael Nadal at the Australian Open and reaching a career high ranking of #68 in early April. 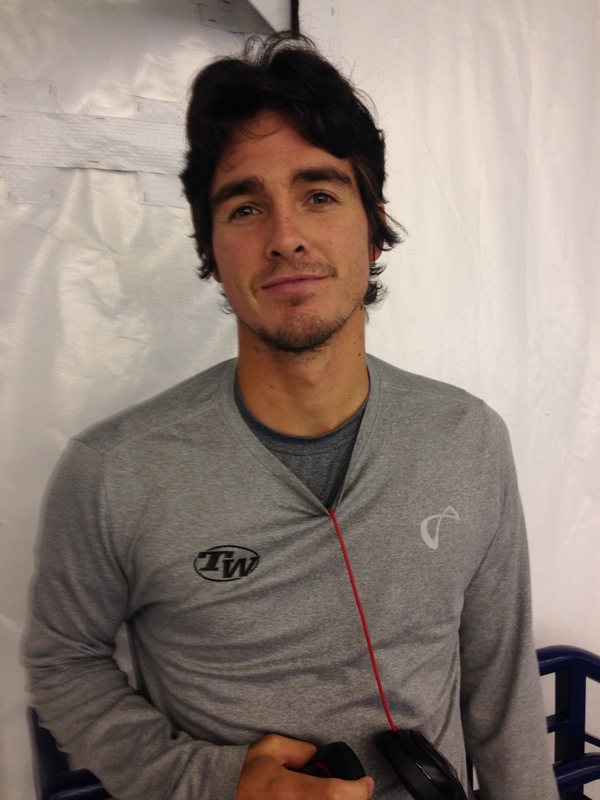 However, he seems to be recovering as of late, reaching a semi-final at the Columbus Challenger in late September, while taking the title in Tiburon the following week. The title came after a dramatic encounter against Denis Kudla in the final, winning 1-6 6-1 7-6(7) after saving four match points. 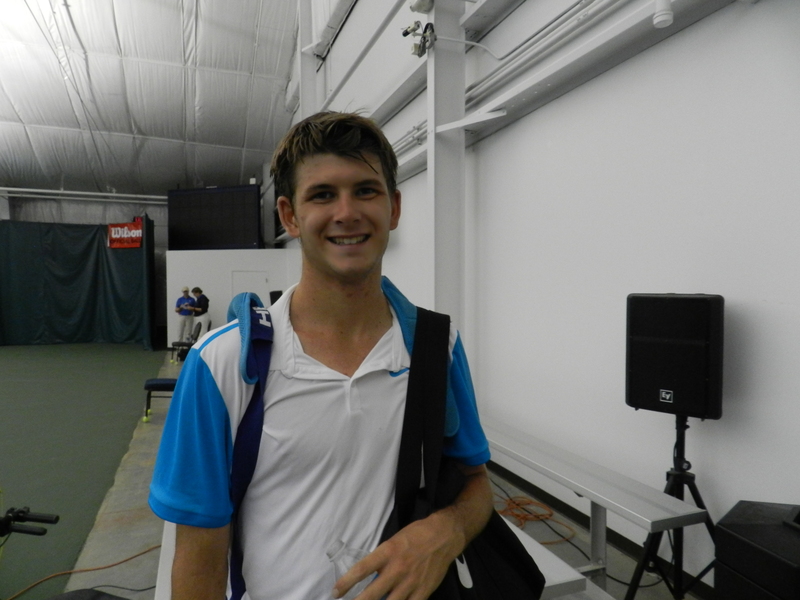 Daniel Evans experienced Smyczek’s slump in extremis. After reaching an ATP semi-final in Zagreb and getting close to the top 100 in February last year he completely went off the rails, starting over again outside of the top 700 after those points dropped off. 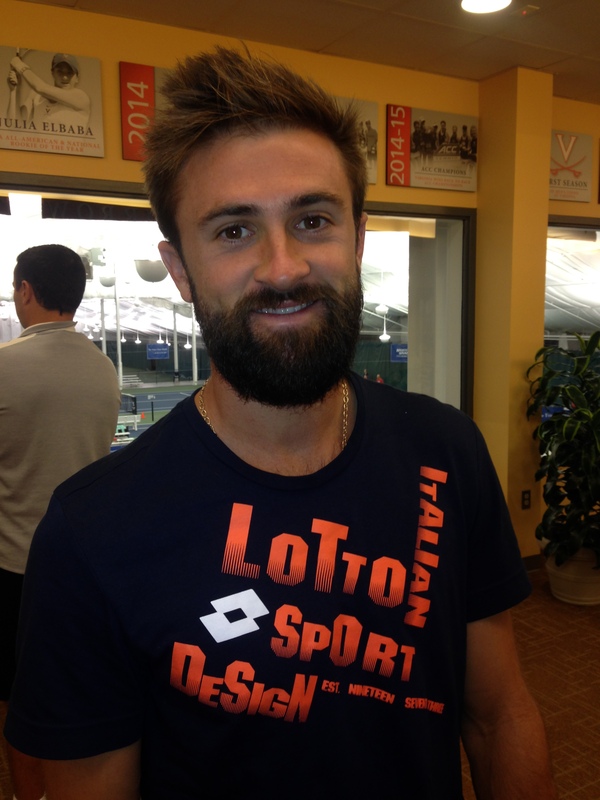 He is currently on the way back and ranked #263, but Smyczek can still be marked a decent favorite here. Assuming top seed Jaziri gets past Tiafoe, which is far from a certainty, he will face stiff competition from former world #68 Blaz Kavcic, the seventh seed who is placed in his quarter. The Americans in this section, Alex Kuznetsov, Chase Buchanan and Tommy Paul, are outsiders and it would be surprising to see one of them upset Jaziri or Kavcic. In the second section Smyczek is the clear favorite to uphold his seeding, but eighth seed Liam Broady has shown that he enjoys playing here. Not only that, he took out Smyczek in the first round last year on his way to the final, also beating Ryan Harrison and Denis Kudla before losing to James Duckworth. He has not been playing well this year and Smyczek will still be a big favorite against him, but his run last year is definitely something to keep in the back of your head. Defending champion Duckworth is heading this section and landed a comfortable draw, facing a qualifier in the first round and another qualifier or wildcard Collin Altamirano in the second round. 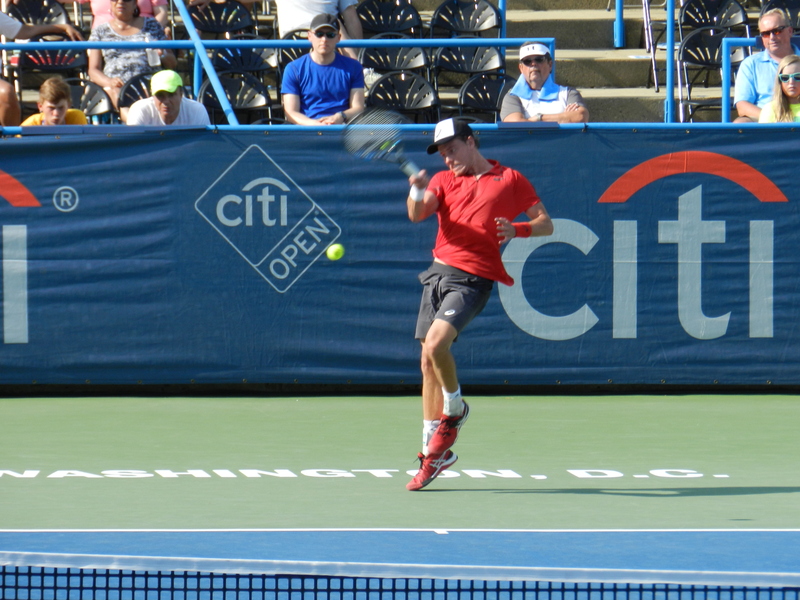 He might have wanted a slightly more dangerous path, because the contrast with his likely quarterfinal opponent, sixth seed Jared Donaldson, will be big. 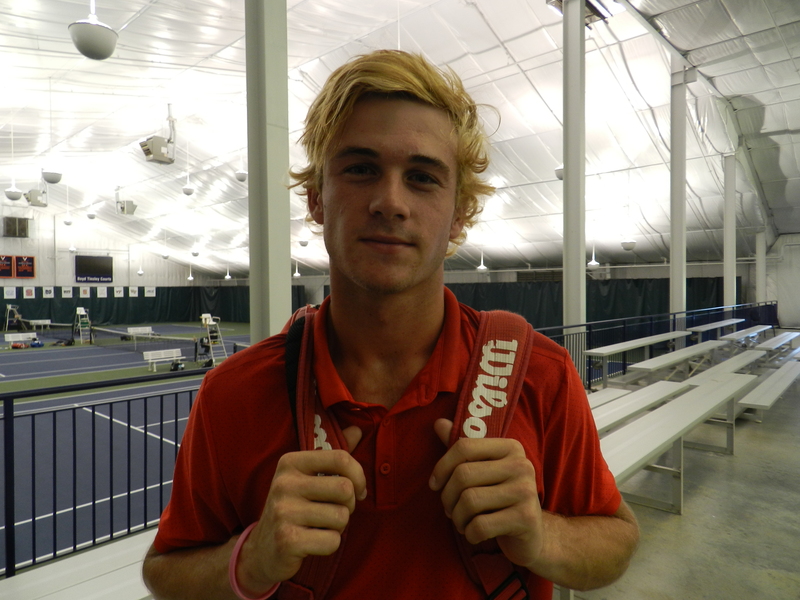 The 19-year-old is having a great year and reached the final of the Sacramento Challenger earlier this month, after which he went on to reach quarterfinals in Fairfield and Las Vegas in the following weeks. Duckworth has a history of getting tight when it matters and with him defending a lot of points this week, I’m picking Donaldson to get through to the semi-final. 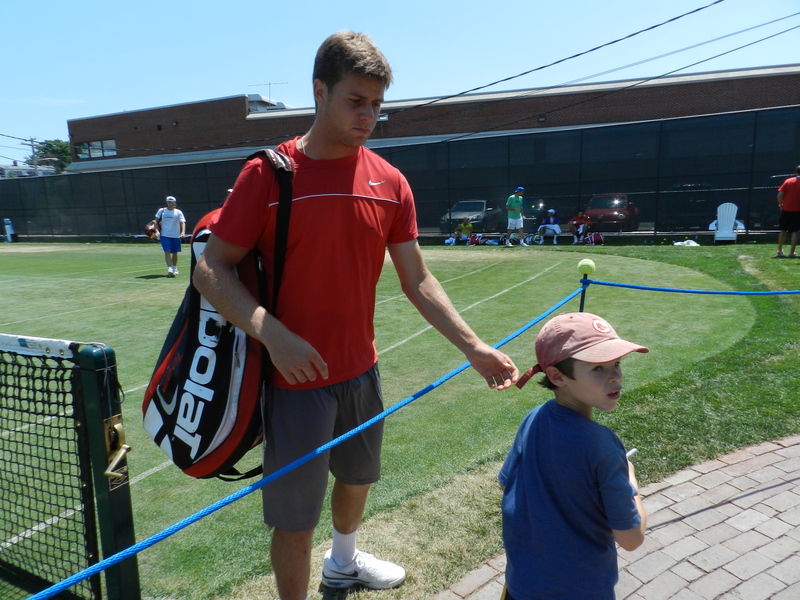 In the top section fourth seed Ryan Harrison has to be favored to come through, despite his extremely volatile nature. A lot has changed since Harrison was a top 50 player more than three years ago, and not for the better. His recent form is a perfect example of that. After reaching back to back finals in Cary and Columbus, he went on to post a 1-3 record, losing to world #255 Marek Michalicka, #253 Darian King and #472 Michael Mmoh. His main rival in this section will be fifth seed Bjorn Fratangelo, who has been a steady factor on the Challenger circuit this year, regularly reaching quarter- and semi-finals on top of a title in Launceston and finals in Caltanissetta and Binghamton, which saw him rise over a hundred ranking spots. In many ways he is the opposite of Harrison, who has a higher peak level, but can’t deliver it consistently throughout the year.